Home News New BoxLunch Exclusive Bob’s Burgers Louise Belcher Pop! Vinyl Now Available Online! New BoxLunch Exclusive Bob’s Burgers Louise Belcher Pop! Vinyl Now Available Online! The new BoxLunch Exclusive Bob’s Burgers Louise Belcher Pop! Vinyl was released yesterday in stores and is now available online. 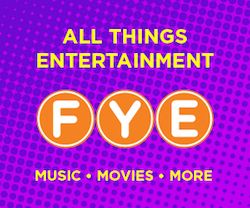 For every exclusive Feeding America® Bob’s Burger’s Louise Belcher Funko Pop! sold, BoxLunch will donate 10 meals to Feeding America between 9/1/18 to 2/2/19 up to a maximum donation of $22,302. 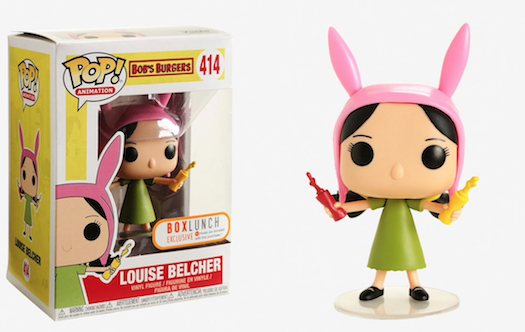 Click on the link below to order the new BoxLunch Exclusive Bob’s Burgers Louise Belcher Pop! Vinyl. Previous articleNew Christmas SpongeBob and Patrick Pop! Vinyls Coming Soon! Next articleNew Funko Shop Exclusive Bigfoot with Marshmallow Pop! Vinyl Released!